When a couple set a date for their wedding they often plan everything in meticulous detail. What none of them can do though is book fine weather for their big day. So the law of averages dictates that some weddings will be plagued by some of the wet stuff or, as we like to say here in the UK, ‘liquid sunshine’. Last Saturday in Somerset turned out to be one of those days. 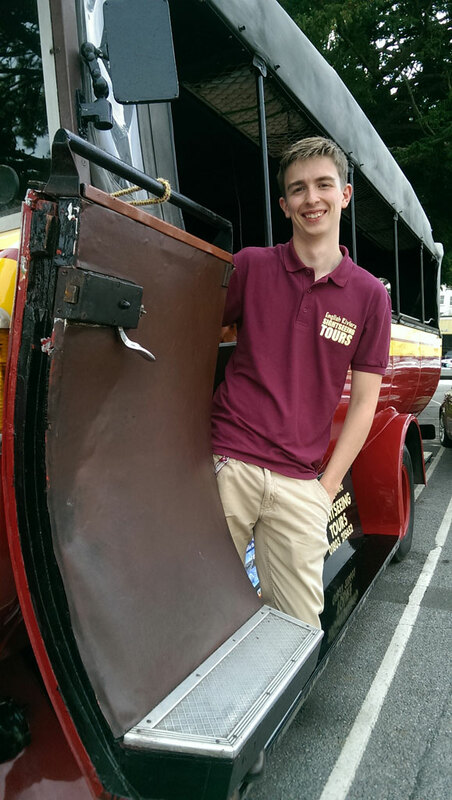 In the photo above I am trying (but not succeeding) to hide the fact that both buses were far from clean after doing their duty in soggy Somerset. Let me rewind the clock a little. Compared with some recent Crosville duties, my day had started at a reasonable hour. On the way to the depot in Weston-super-Mare I picked up my conductor for the day, my friend Cherry Selby. My journey up the M5 hadn’t been pleasant, with heavy rain and spray slowing my progress. 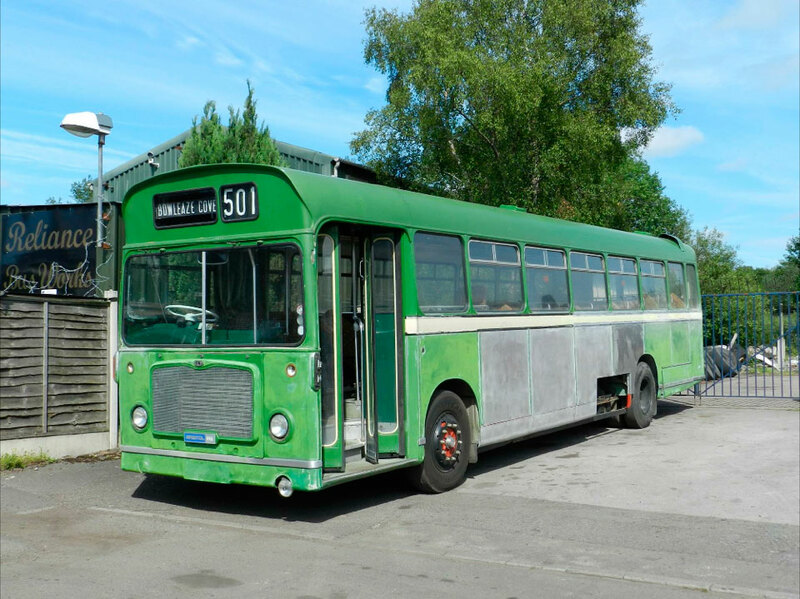 The rain had eased by the time we arrived at the depot and, on the way to the Crew Room, we were pleased to see that our rostered bus was near the front of the garage and not buried deep within as is sometimes the case. 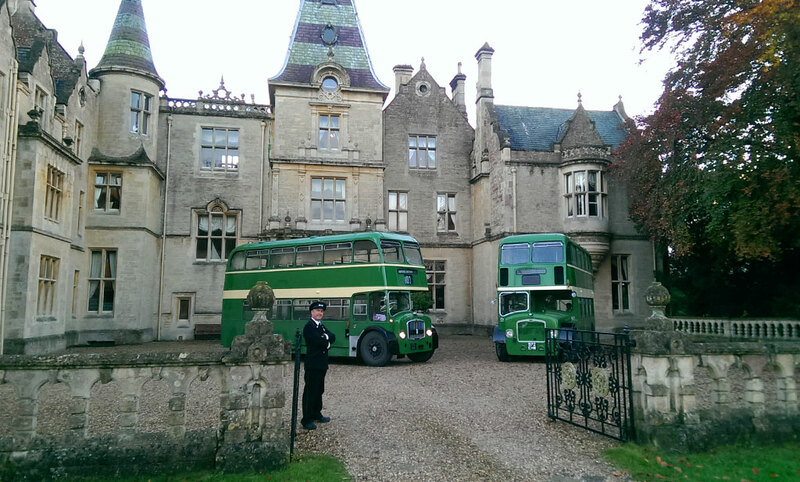 My Work Ticket showed that two buses had been allocated to this job and the two green Bristol Lodekkas were parked together. 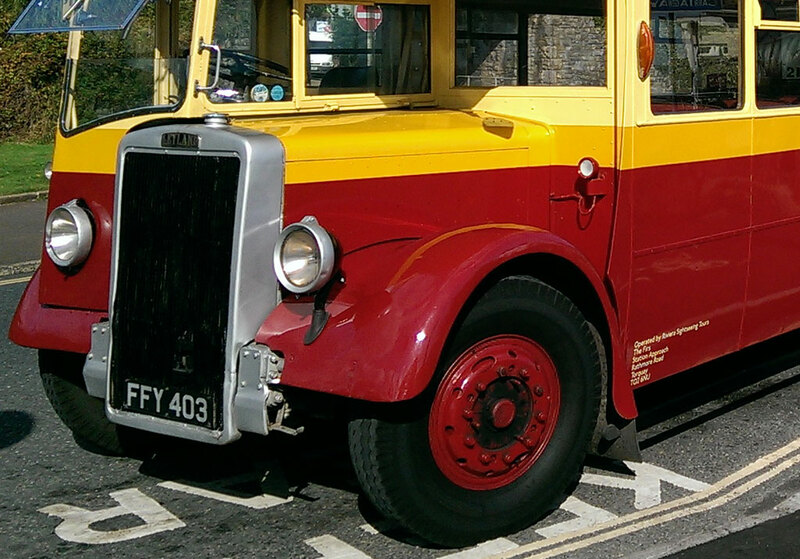 Ours was ex-Bristol Omnibus Company LC8518 (972EHW), a 1959 LD6B. I’ve had this one several times before and is very presentable, if a little quirky to drive. To begin with, this particular Bristol AVW 6-cylinder engine is always reluctant to start when cold. On this occasion I found that, once I had it running, it really didn’t want to go any faster than a slightly fast idle. Bristol engines are renowned for having what I call a ‘lazy throttle’, with a noticable delay in delivering power when the accellerator pedal is depressed. It took several minutes of persuasion to extract anywhere near full revs from the cold engine, quite unlike the Gardner equivalent. Finally, after many months of searching, I have been able to fit a pair of nut guard rings to Torquay’s sightseeing bus, Leyland PD2/3 FFY403. 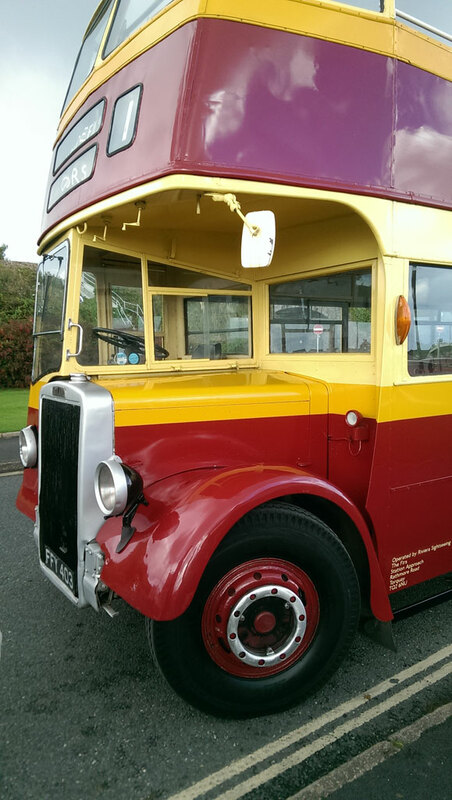 The bus was delivered to English Riviera Sightseeing Tours in Torquay in 2013, minus her nut guard rings. These are normally fitted to the front wheels to cover the wheel nuts and were a standard fitting on most Leyland and AEC vehicles. But, sometime in the recent past, the PD2’s rings had been removed by a previous owner and not replaced. I’ve always thought that, ever since seeing the bus parked outside Torquay railway station shortly after delivery in 2013, she looked ever so slightly ‘undressed’ without her rings. It bothered me every time I climbed into her cab too, and not just for aesthetic reasons. The ring on the offside provides a very useful stepping point for the driver as he climbs up into – or down from – the cab. I learned this the hard way several times when, in wet weather, my right foot slipped off the wheel as I tried to gain a secure foothold. Eventually, after posting requests and emailing several friends in the heritage bus world (I even tried the Leyland Society), Dan Shears came up trumps. He runs the West of England Transport Collection at Winkleigh, Devon. 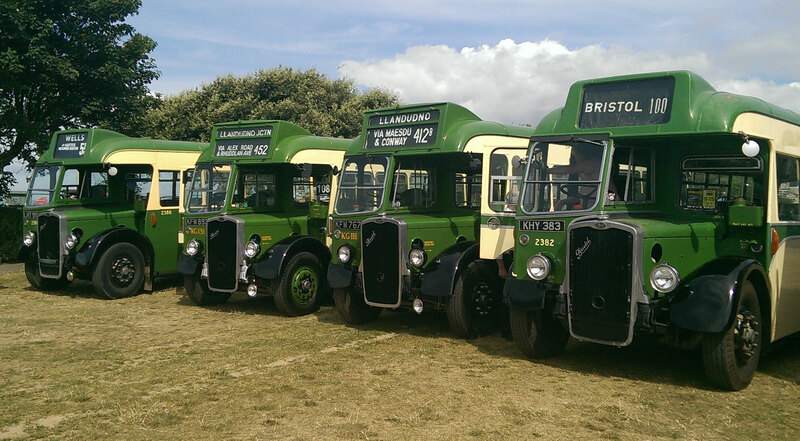 His father Colin started the collection in the 1950s and always had a soft spot for Leylands. As a result, Dan has inherited a large number of Leyland vehicles along with sundry spare parts. He sent me a message one day to say that he’d found two rings and would I be interested as he already knew I was keen to acquire some. With this good news to hand, I approached the owner of the bus and happily received a favourable response. So a deal was done and a package duly arrived towards the end of the season. Like a cat with two tails, I offered up the rings to the wheels, which still had their mounting studs in place. A perfect fit! I took them home and spent an hour or two with a wire brush to bring them back to life and the next morning fitted them to the bus before my next driving duty. 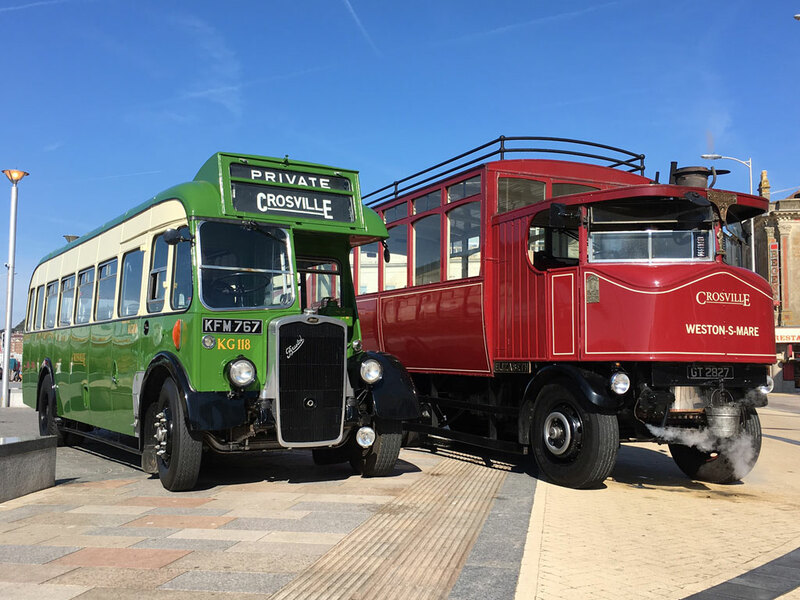 I am very pleased with the result and am grateful to the owner of the bus for agreeing to buy them and of course to Dan Shears for finding them. In the last few weeks of the English Riviera Sightseeing Tours season a new tour guide joined the replica charabanc crew. He has been seen at various times on this blog already – it’s my youngest son Peter! Peter was filling in for a crew member who was off sick but, even though I’m biased, he actually made a jolly good job of it. The Bristol LH6L (TR6147) has been running regular tours from Paignton, along the seafront to Torquay and back. It runs two tours in the morning and one in the afternoon from the Strand, Torquay where the tour route is run in reverse. Filling the seats has been hard because the charabanc started operating part way through the season and hasn’t benefitted from any marketing or promotion, apart from flyers handed out by the crew to passers by on operating days. The weather plays a part too, as it does for the open top Leyland PD2 tours. If wet weather prevents the tours from running, any momentum is lost and it’s like starting from scratch when they re-start. Even so, on the days that Peter worked he managed reasonable loads which always makes delivering the commentary more rewarding. He’s no stranger to a microphone, fortunately. As a worship leader in our church (and at the Bible College where he is studying) he is used to addressing much larger gatherings!